Shipping container housing, also known as ISO container homes, are created out of any type of shipping container usually used for transporting goods across the globe. Whether you’re looking for an intimate beachfront getaway, a compact urban abode or a larger, sprawling home on the open range, you may be able to find the perfect fit with shipping container housing. Once considered undesirable housing units for those who simply couldn’t afford the traditional brick and mortar option, storage container houses have become the hot new trend for, well, just about anyone. 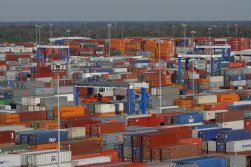 While shipping containers are constructed to be used again and again, many eventually fall into disuse and end up sitting around the ports in China, northern Europe and the United States. It is reported that an estimated 17 to 20 million of these ISO containers are peppered across the globe at any given time, with as many as 1 million of them simply sitting around taking up space. While many of these terms are used interchangeably, it is rare to hear houses built from shipping containers called shipping crate homes, but you would not be incorrect using the term. Throughout this site the terms are used interchangeably. 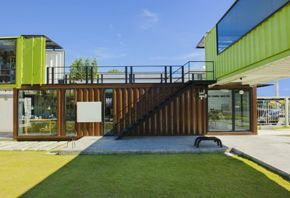 Instead of letting the containers continue to clog up the environment, creative folks and firms have taken to repurposing the containers into eye-catching, economical shipping container housing. We’ve been online following sea container houses since 2004 and we can tell you the trend has been growing heavily since at least 2010. Countries across the globe are embracing the container home movement, with container conversion projects in regions that include the US, the UK, New Zealand, Chili, Canada, Spain, South Africa, the Netherlands, Poland, Estonia, Norway, Switzerland and Australia – just to name a few. Storage container houses are particularly popular with the eco-conscious crowd, thanks to their environmental benefits – but those aren’t the only advantages of living in ship container homes. 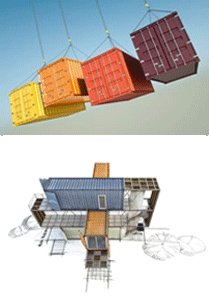 Popular Mechanics and CBS News note a number of pros and cons of modern container homes. With the popularity of shipping container housing on the rise, more information about ship crate homes is available for consumers. We won’t lie and say there aren’t a few disadvantages of living in sea container homes – but they may be easily outweighed by the benefits and creative flair. Not all shipping containers are created equal. You have several types from which to choose, each with different characteristics and costs. Grabbing a container and calling it a day won’t take you very far, either, as you still need the know-how and amendments to transform the container from a cargo carrier to your home sweet home. More than 50 different types of shipping containers are available, although not all would be ideal as the foundation of a home. Open-top containers: These containers have an open top for easy loading of difficult materials such as grain or coal. The side of the container can also be opened for even greater ease of transporting particularly tall or heavy materials. Dry freight containers: Dry freight containers: Also called cube containers, these containers open in the front only. The rest of the container is entirely enclosed, ideal for general shipping needs. Insulated or thermal containers: Materials and goods that are frozen, chilled or otherwise sensitive to temperature can be shipped in these containers, which are insulated by not refrigerated. Refrigeration containers: Also known as reefers and reefer shipping containers, these temperature-controlled containers have a built-in refrigeration unit necessary for shipping perishable items. Tank containers: While they have the same dimensions as other shipping containers, tank containers are cylindrical and mounted on a rectangular steel base. They are generally used to ship liquid or bulk materials. 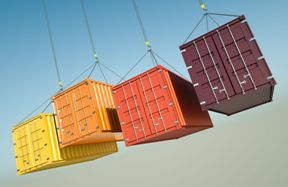 Despite their differences in purpose or characteristics, all shipping containers have dimensions regulated by the ISO. Height: Standard containers are 8 feet, 6 inches in height, although other containers can range from 4 feet to more than 9 feet, 6 inches high. Width: Most containers are 8 feet wide, although some are wider. Length: The most common lengths are either 20 or 40 feet, but you can find those that range up to 56 feet long. More in-depth information on shipping container standard dimensions. If you do want to move forward with a shipping container home, you have several options. One is to look for a builder that offers prefabricated container homes. Shipping container home builders can be found online, and often their expertise is invaluable. Another is to go for container home plans or kits you can customize with specific options tailored to your specific needs. Whatever option you choose, be sure to research the company, builder or architect. Check for references; you want to find customers happy with their shipping container home builders, and customers whose shipping container homes cost what they had budgeted for their construction. Many a capable builder has low-balled a bid to get business only to start with the add-ons as soon as the contract is signed. Oftentimes builders have container home plans and designs on hand, and the shipping container home builders can often help with the processes of permits and approvals. Permits and approvals vary from location to location and even with traditional construction, this part of the home building process is frustrating. Add in the shipping container aspect and you’re bound to be greeted with an extra layer or two of red tape. Experienced storage container home builders will be able to run interference for you with your local bureaucracy and help smooth the process. While storage container houses run the gamut from Spartan and small to glamorous and architecturally significant, in terms of comparing the cost to standard building practices, shipping container homes cost less. The Bob Vila website says you can expect to pay about half the price per square foot than a conventional home would cost. Shipping container housing can run more expensive than traditional construction, however, depending on the experience of the people building the house and the level of design and decoration that goes into home. Considering that in some cases shipping container houses cost much less than traditional construction as well as offer so many benefits, it’s no wonder the trend has been on the rise. Don’t forget the cost of installing electricity, plumbing and other creature comforts, which could range from $50 to $150 per hour plus materials. You also need to keep in mind the cost of the land and any necessary permits to ensure your shipping container housing project is approved and built following local regulations. One final tidbit to keep in mind is the attention you’re sure to get. With a shipping container home, you’ll be in the thick of an eco-happy trend that can be as earth-friendly and economical as it is just plain cool.